Following allegations this past week that Facebook was suppressing conservative issues on its social network, Mark Zuckerberg the CEO invited a group of political conservatives to speak to him regarding the issue. Zuckerberg in a post said that the reason he cares so much regarding this is that is goes straight to the core of everything that Facebook is and that he wants it to be. He continued by saying every tool built by Facebook is designed to allow more people to have a voice and bring together the global community. Zuckerberg added that as long as he leads the business this will be their mission at all times. In that same post the CEO of Facebook said over the upcoming weeks, he would be inviting the country’s leading conservatives, as well as people from across the full political spectrum to discuss the allegations. 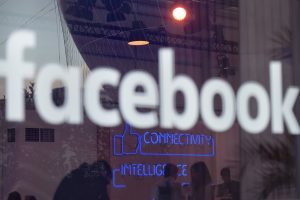 The issue became heated earlier in the week after Gizmodo a tech blog, citing what it call anonymous sources, posted a report that said Facebook workers keep articles with a bend toward conservatism out of the list of Trending Topics and injected articles that were far less interesting. This issue caused so much uproar that John Thune a U.S. Senator from South Dakota and chairman of the Committee for Commerce, Science and Transportation sent a letter to Zuckerberg asking him if he would answer questions about the current allegations. On Thursday, Zuckerberg, wrote that to serve a diverse community the company is committed to building its platform for all ideas and take this report seriously and are conducting a complete investigation so to ensure that the teams we have upheld the integrity of our product. It was important that Zuckerberg was head on by addressing the issue said an analyst in the industry. When this issue first appeared, Zuckerberg was quiet, while the vice president of Facebook Tom Stocky commented about it on his own page on Facebook. At that same time, some analysts in the industry said not enough was done and Zuckerberg needed to be involved. Now they have addressed it using Zuckerberg and published policy, no one has any proof that policy is not being followed, said an analyst on Wall Street. On Thursday, the Global Operations Vice President at Facebook Justin Osofsky also made a post on the media page of Facebook. He said the company guidelines demonstrate we have checks and balances that are in place to help the most important stores surface, regardless of where they might be across an ideological spectrum.